. Published on Tuesday, September 6, 2016 . If you have a Netflix account, then you’ve probably heard of a little show called “Stranger Things”. If you’ve watched it, you know the feeling of binge-watching eight episodes in a row and then not knowing what to do with your life afterwards. Honestly, this cinematography is more beautiful than most people. Because who doesn’t want to relive the simpler times of the ’80s? You’ll watch characters grow…like Steve’s hair. Portraying a mother who’s child has disappeared is one thing, but portraying a mother who’s child has disappeared into an alternate dimension and talks to you through lights is a much more challenging role. We’ve always known she was amazing, but this one really took the cake. You’ll realize that Jonathan Byers (Charlie Heaton) looks like a young, blonde Norman Reedus. She had like four lines. OK, she was a good friend, but come on. There’s more time to ask the real questions: How did Will not die in the upside down? Is the monster actually dead? Why Eggos? With films such as “E.T. The Extra-Terrestrial”, “Alien” and “The Goonies,” “Stranger Things” has so many references that it’s difficult to keep track! Don’t worry, here’s a guide to help you along! So if you have some extra time left this summer, be sure to rewatch what might be the greatest Netflix show ever! 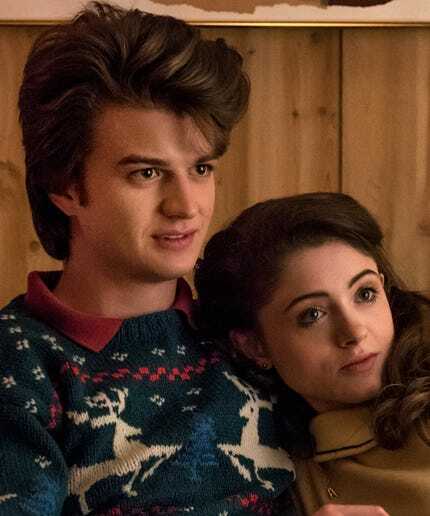 What are some other good reasons to rewatch Stranger Things? Share with us using the hashtag, #CampusCropChat on Facebook, Twitter and Instagram. Add us on Snapchat @asicpp!